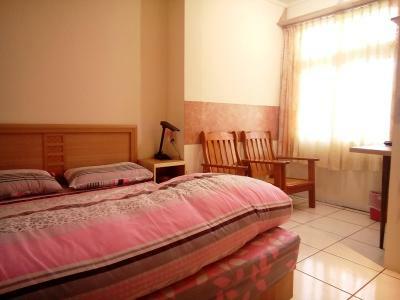 Lock in a great price for Jiufen Alleyway B&B – rated 8 by recent guests! Smiley Chinese grandpa - he can't speak English that well but you'll get what he says. Easy self-checkout - just hang the key on the hook by the breakfast shelves outside the door. Hearty breakfast - a triangle sandwich, some sort of spring onion bread and warm soy milk. Air-conditioning is superb. Breakfast, owner made an effort to ensure breakfast is warm. 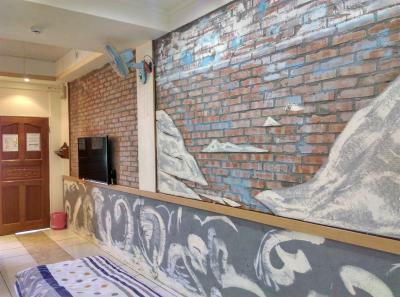 Very nice place to stay in jiufen. Breakfast provided some more. 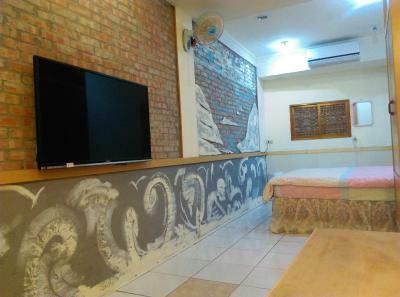 Very recommended to stay at here. 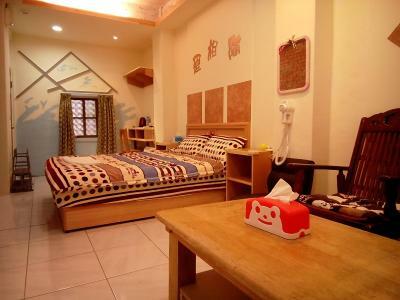 Set in Jiufen with great access to Jiufen Old Street, Jiufen Alleyway B&B offers guest rooms with free WiFi connection. Daily breakfast is served at the property. 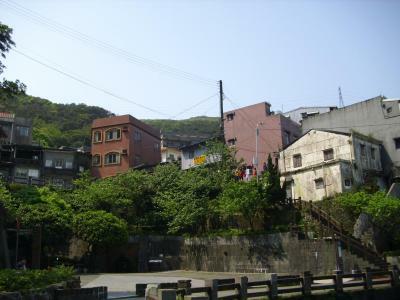 Jiufen Alleyway B&B is a 12-minute drive from Ruifang Railway Station, while Gold Museum is a 20-minute drive away. 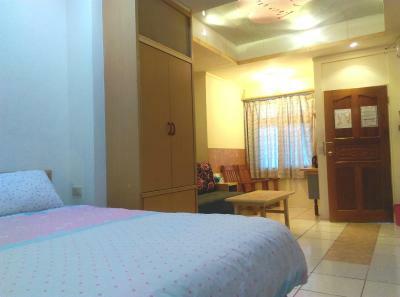 Guests can reach Taipei City from the property in an approximately 60-minute by car. 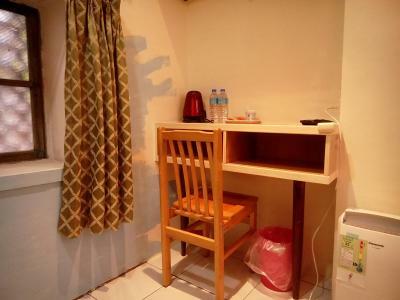 Featuring air conditioning and a seating area, all guest rooms have a flat-screen cable TV and a tea/coffee maker. 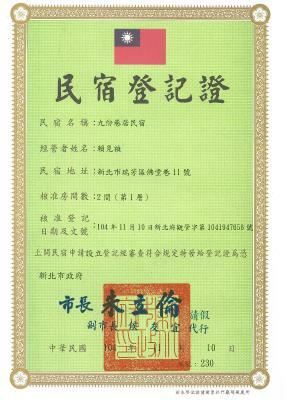 Bottled water is also offered. 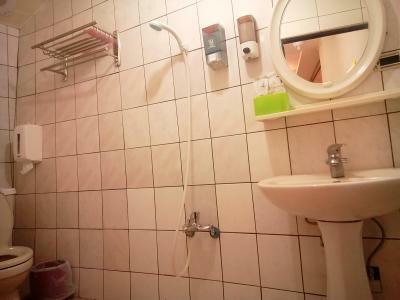 The private bathroom has bath or shower facilities, free toiletries and hairdryer. Staff are glad to assist guests with providing local touring information. 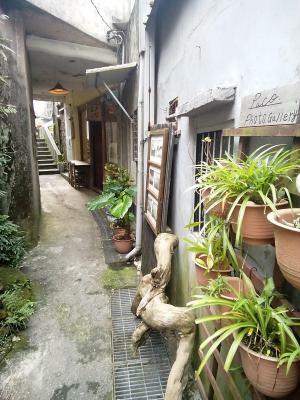 When would you like to stay at Jiufen Alleyway B&B? 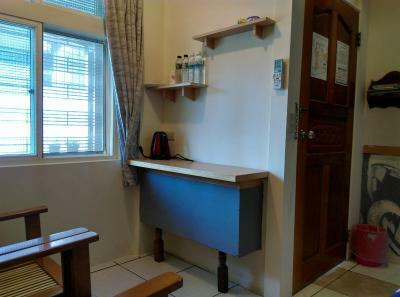 This double room features a tea/coffee maker, electric kettle and dining area. 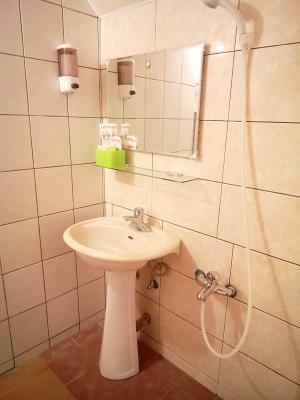 Our B&B is tarred roofing felt, cement and brick construction, which maintain the original scene of mountain city. 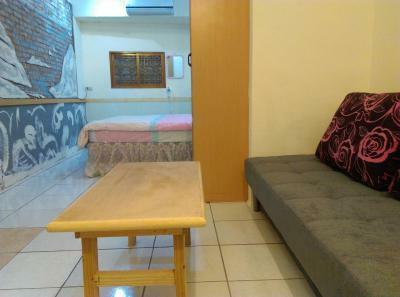 We provide clear accommodation and tranquil space for every traveler to have a nice sleep. 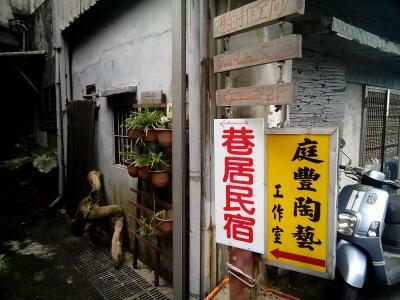 House Rules Jiufen Alleyway B&B takes special requests – add in the next step! The path to the lodging is either full of stairs or crowded street. Not many taxi is willing to go to the door steps. Not convenient for people with big luggage.